The Siberian Elm, also known as a Chinese Elm, is native to eastern Asia and was introduce to the United States in the 1860s to be used for its fast growth and hardiness. It commonly functions as a shelter belt or windbreak tree. It is now recognized in areas across the United States as an invasive plant. Produces green-like flowers without petals in the Spring. These flowers appear in tight clusters of 2-5 blossoms. Fruit from the tree appears flat and circular. These also appear in clusters that are tan in color. Each fruit contains a single seed. The large amount of seeds each tree produces can be easily spread by the wind, which allows it to spread quickly. Since it can spread quickly, it can take over a disturbed prairie in as little as a few years, if it is not maintained. It forms dense thickets and disturbs native vegetation. This can reduce vegetation for livestock and wild animals. Vegetation management is required to eliminate this invasive species. 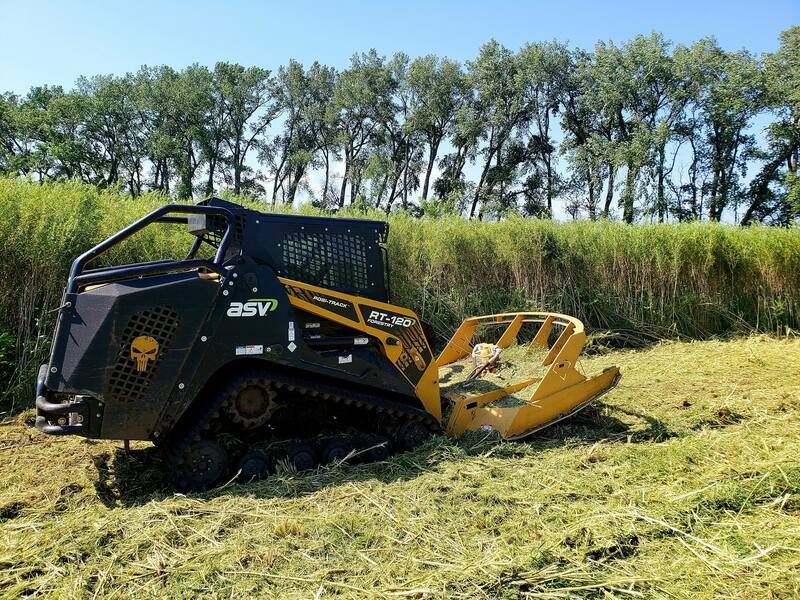 Using a mechanical solution, such as Diamond’s Skid-Steer Rotary Mower or Forestry Mulcher, is fast, efficient, and extremely effective.